Updated Tuesday May 8, 2018 by Denis Archambault. 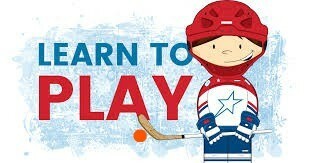 The SQUIRT "LEARN TO PLAY PROGRAM" is a skills development program for young players from 3 to 6 years of age. We ensure each child performs each drill as slowly as necessary so they can develop the mechanical movements to master the skill. As the child learns to properly do each movement they will naturally speed up. The cone drill can be modified by shortening the distance between the cones as the group improves on this skill. Remember that because the children are very young some might decide to stop and have a rest or want to sit out altogether which is normal.